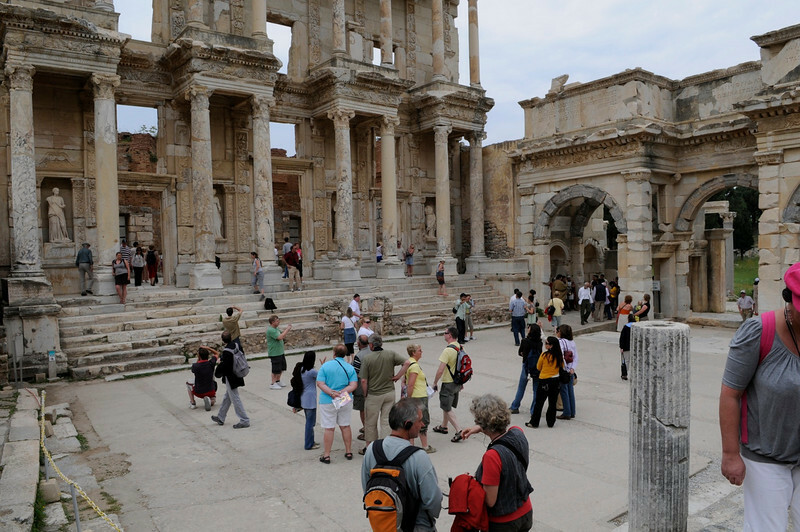 The pictures you are about to see are all from Ephesus in Izmir Turkey. Ephesus is one of the most beautiful cities in Asia Minor. This ancient city was dedicated to the goddess Artemis. It's amazing to see the ruins. Goggle Ephesus to learn more. The ship was greeted by Turkish dancers upon arrival. The lady with the yellow umbrella was our guide. The stone with the female image is where the Nike shoe logo was obtained.